Core+Explore could be your latest workout plan but, for Raintree Capital Inc, it’s a company mantra that’s laser-focused on clients’ financial fitness. Believing the traditional 60-40 portfolio mix leaves investors short when it comes to diversification, the firm espouses a strategy where the “core” of a portfolio consists of securities that are more conservative, liquid, market-orientated and overseen by a registered money manager. This is complemented by the “explore” aspect, which is made up of forays into private markets that deliver diversification but also have the potential - albeit with more risk - to deliver outsized returns. 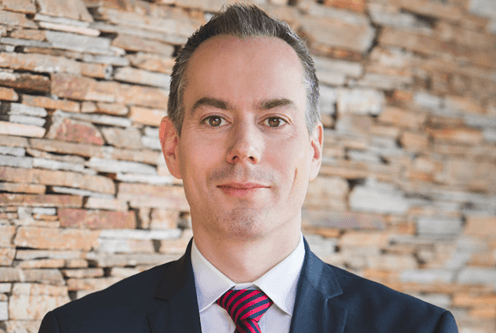 CEO Peter Kinkaide, who helms Raintree Financial Solutions, Raintree Wealth Management (launched last year) and Raintree Corporate Finance, told WP there is still a knowledge gap with the public in terms of how alternatives can add value to a portfolio. And with the consensus that we are in late cycle, he believes the quest for diversification to maintain returns will only intensify. Kinkaide said: “My personal belief is we are getting nearer to the end of the bull run than we are to the beginning of it and as we get late in the cycle, it might be time for some investors to actually realize some gains on their portfolio. Kinkaide said the benefit of alternatives is that the correlation to the equity and fixed-income market is generally low, while traditional portfolios that are exclusively allocated to these asset classes become higher correlated, especially in downmarkets. A deeper dive into specific alt investments, he added, provide more reasons for investors to be optimistic. He said: “There are many unique ways to invest your capital to access companies that are at a different stage than they'd be in if they were in the public market. Sometimes you just have access to investments that can’t be public – farmland would be a good example of that. Kinkaide highlights private equity as an area Raintree has found success with over the past five years, stressing that you can often unearth companies at multiples on cash flow EBITDA that are lower than what you would find on the public markets. So … you’re an investor looking to rebalance but you’re unsure how far you want to “explore”. What should you do? Kinkaide admitted that the percentage allocated will depend hugely on the individual and for the majority of clients, 5%-25% is probably a healthy range. Anything less than 5%, though, is a waste of time. He added: “We feel it’s something not enough people are talking about – if you’re dipping your toe, it really isn’t worth the stress levels or the paper work." The Edmonton-based CEO has been at the helm for almost two years having previously been managing director, corporate finance for Raintree Financial Solutions for more than six years. He is relishing the opportunity to set the direction of the firm and share its story with the markets. His passion for the job is clear and he believes the tougher, late-cycle conditions can be tackled best with three strategies to manage risk: private alternative investments, actively managed cash and absolute return hedge funds utilizing short-selling strategies. Kinkaide said too many investors are anchored to the type of returns we’ve experienced in the past 10 years. Raintree, however, is actively positioning its portfolios to try to be more conservative and is buoyed by outperformance in the short term. He conceded, though, that he and his colleagues are not “licking their chops” just yet. He said: “The challenge has been that, over the past 18 months, the market has gone up and up and up. We have had such low volatility up to this point that it’s hard to get people to remember that portfolio management is about diversification. It’s about trying to allocate assets and actively giving consideration to valuations. That isn’t a message that’s always well understood or remembered. “Our view is that we are in for more downsides than upsides, especially in the near term but once we see that, that’s when we want to get greedy and more heavily exposed directionally to the equity markets. “That’s very much our firm’s philosophy: to look at market valuations based on our pricing model, allocate the markets that we think are generally undervalued and under-allocate to markets we think are overvalued relative to their long-term average. Kinkaide said a key differentiator Raintree offers is its willingness to help independent advisors grow their practices and points to the early adoption of Wealthsimple – the first dealer in Canada to partner with the online platform – to give them access to both active and passive investment strategies, including Raintree Wealth Management.